When one thinks of combining good skiing and good beer whilst living in Toronto, usually that means an arduous trip to venture to Quebec, Vermont, or further afield to the Rockies or beyond. But as learned this winter, we’ve got access to a great destination for both that’s only a couple hours outside of the GTA. The view atop the Holiday Valley ski resort. 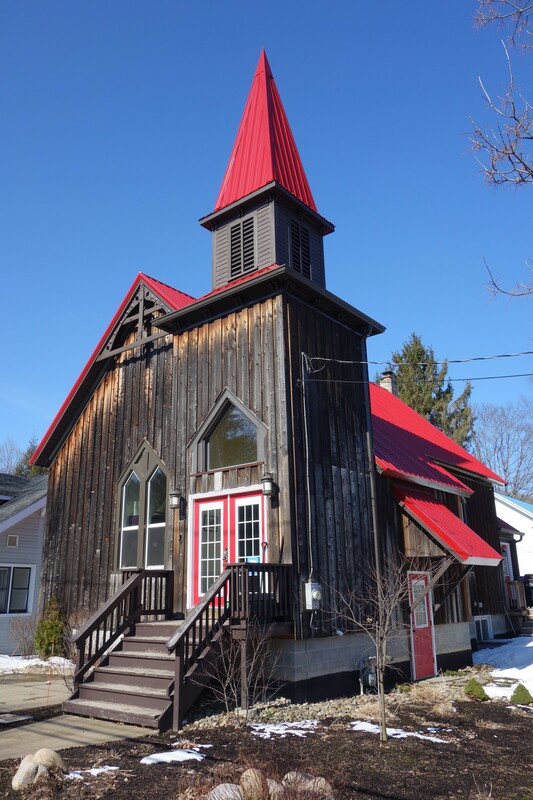 You might not realize that both good skiing and good beer can be found in the western side of New York state, in Ellicottville, located less than 250 kilometres from downtown Toronto. 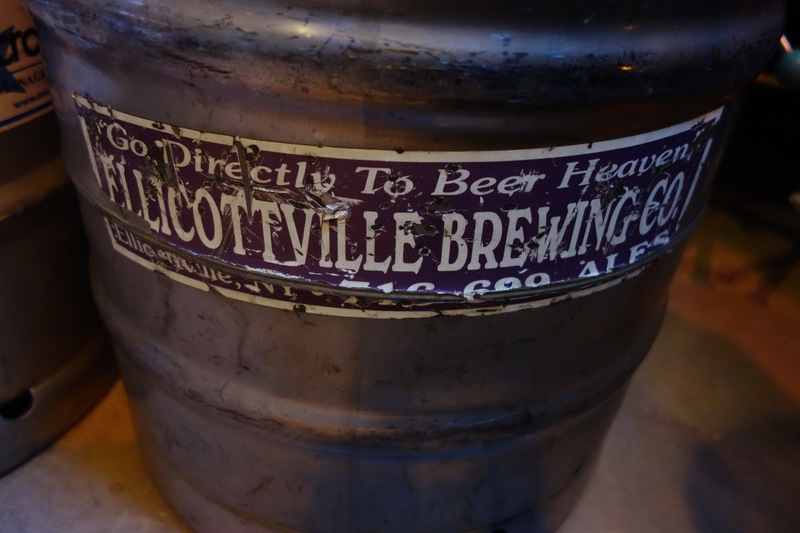 Ellicottville and the nearby Holiday Valley resort has the charm of a classic a ski town, a fun and diverse skiing experience and much excellent craft beer to keep one quite nicely imbibed during a visit. 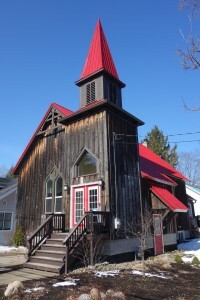 Ellicottville is a town of under two thousand residents and is intrinsically linked to the Holiday Valley ski resort, located just a couple of minutes from the main street of town. But the town is a good place to start a beer exploration before venturing onto skiing. Downtown Ellicottville is a charming place, with a storefront lined main street of cafés, bars, ski gear outlets, trinket shops, antique stores and other interesting spots to poke your head into. The main drag of Washington Street is an easily walkable strip with lots of check out. But we’re here for the beer and there’s some great pints to be found in this picturesque village. 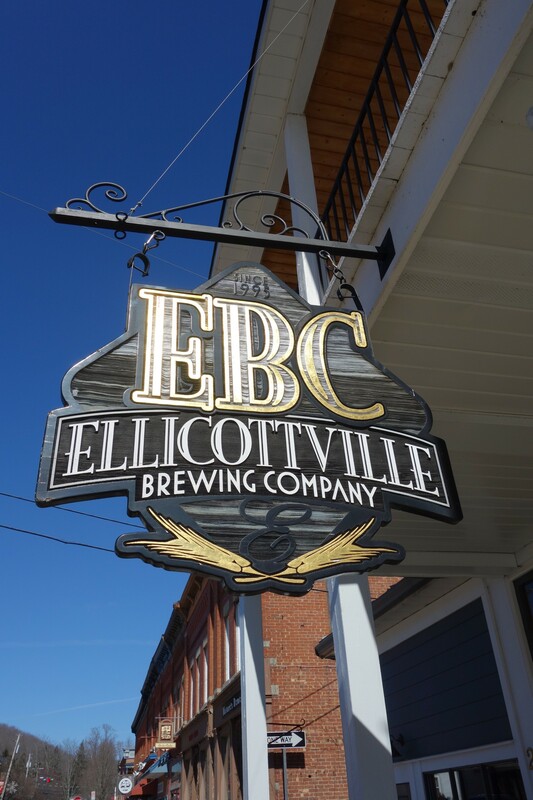 A good first stop on a beer tour of Ellicottville is the vast and impressive Ellicottville Brewing Company (EBC), founded in 1995 by Pete Kreinheder and Phin DeMink (who later founded Southern Tier himself). Located just off Washington on Monroe Street, entering the pub feels like walking into an old house front. One is immediately greeted by the original bar area, with an impressive long bar (evidently originally built for the 1893 World’s Fair) leading to the original brewery, still in operation in the back of the room which acts as EBC’s pilot system or regular on-tap brews. The EBC restaurant is a good place to explore, as adjoining the bar is a recent expansion (nicknamed ‘Newtown’ as opposed to the original bar, ‘Oldtown’) that significantly grew the overall floor and table space. A unique feature of the layout is the presence of beer everywhere – there are stacks of six packs neatly lining the floors and shelves – all of which are available to-go. It’s a fun experience to explore the beer throughout the space than simply looking at a beer fridge (but they have one of those too in the gift shop). Next to the newly expanded area lies the new brewery, which opened in 2013. The new brewery is an impressive section, with a private dining and event space leading to a platform and bar overlooking the new brewery. You can tell that this was designed for tours in mind, which occur throughout the weekends. During my visit a tour, which included an informative history of the brewery, interesting stories from the past and four samples at the brewery tasting bar. Vintage kegs still in operation at EBC. EBC offers a diverse range of styles, including during my visit a pilsner, blueberry wheat, session IPA, nut brown, oatmeal stout, kolsch, India pale lager, hefeweizen with blood orange, an “ultra” pale ale, plus from their “Imperial Series” a strong IPA, chocolate cherry imperial stout and seasonals winter lager, and a hoppy winter ale. To top it off they also had a guest tap from Hamburg Brewing, an American double India pale ale. Although EBC’s Blueberry Wheat accounts for 50% of their volume, I was impressed with their commitment to a wide range of styles, and everything I had was well made. EBC is an impressive place, a spot which I came back to multiple times during my visit. It would be a great destination anyway, but being in a ski town it only turbocharges the Ellicottville experience. Settle in at the bar, have a tour and stay for the beers. You won’t be disappointed. Charming architecture to be found in Ellicottville. Nightlife in ski towns is usually known for being quite active, and Ellicottville is unsurprisingly no exception. In fact, it is more lively than some other ski towns I’ve visited in North America. Visitors and residents in Ellicottville definitely like to have fun. 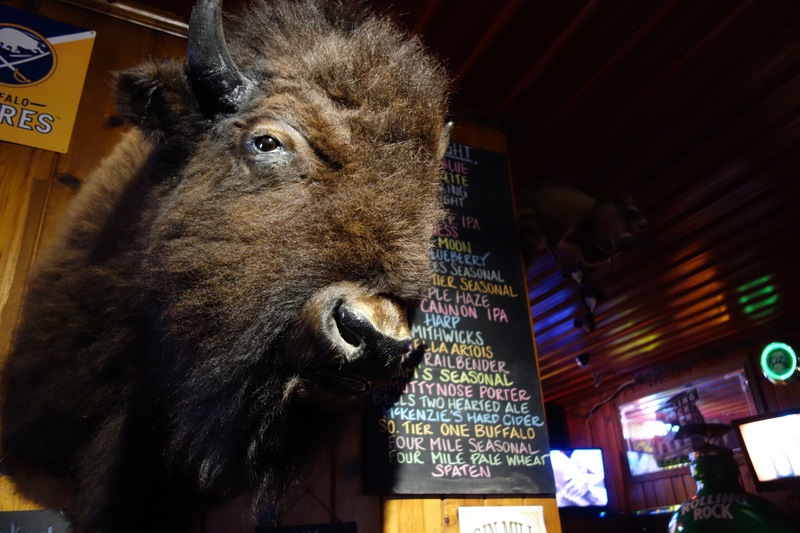 One of the great spots on the main strip is The Gin Mill, a lively bar full of vintage paraphernalia, bar tchotchkes, groan-worthy signs and, interestingly, taxidermy. 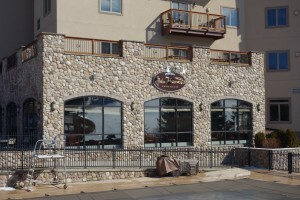 Upon walking in the front door the classic vibe of apres-ski bar is apparent, and they deliver. The room consists of a long bar down the right-hand side, with numerous tables and a back area with more tables and vintage video games. The beer at the Gin Mill is top-notch. They’ve got a strong lineup of 25 taps, with craft highlights including locals EBC, Four Mile and Southern Tier, plus Great Lakes, Smuttynose, Abita, Bell’s and Heavy Seas. A fun and party-happy bar, on a particular Friday night during the evening the staff cleared out all of the tables in the main area and stored them outside on the sidewalk, to accommodate more patrons inside. Now that’s just a good way to keep the fun flowing. Around the corner there is Balloons on Monroe Street, which feels like two bars in one. Featuring two entrances, one side during my visit had a retro cover band (belting out the cheesy “Van” favourites including Halen’s Panama and Morrison’s Brown Eyed Girl), whilst the other side was a bit more of a classic bar, with a dark interior adorned with decor of vintage automotive antiques and old beer ads. The beer selection was decent, featuring numerous options from EBC, Southern Tier and Brooklyn. Also in town it’s worth checking out the Tops Market, which alongside EBC is a great place to pick up some packaged craft brews, Tips Up Café for a casual bite and brew in town, and Bike and Bean, a bike shop and late night burrito take away, all located on Washington. John Harvard’s Brewhouse, right at the base of Holiday Valley. 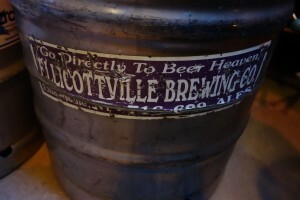 Holiday Valley, the ski area and resort located a few minutes from downtown Ellicottville, also has great beer slopeside. Located within the Tamarack Club hotel is a location of the John Harvard’s Brewhouse chain. The pub, located right at the bottom of the main lifts could not have a better location for apres-ski beers (however, they don’t have the ‘leave your ski boots on’ kind of vibe here). The room is bright and airy, with nice views of the slopes from the seating area. A large three-sided bar sits as the centrepiece of the room, with views of the taps and other beer drinking patrons. Oftentimes good beer can be hard to find slope side at some resorts, due to relationships with large brewers. But this is certainly not the case here and the beer menu delivers at John Harvard’s. They had an excellent lineup including house beers Foxfire Amber, Tamarack Pale Ale and Winter Lager (there isn’t an onsite brewery at this location, but they are brewed at EBC) plus wide range of craft brews including Long Trail’s Limbo IPA (a personal apres-ski favourite) plus brews from Four Mile, EBC, Brooklyn, Magic Hat, Southern Tier and more. 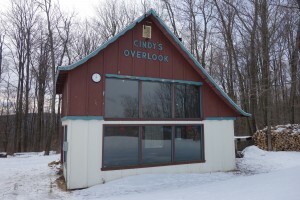 Take a break in Cindy’s Overlook at the top of Holiday Valley. Now all this great beer is made even more delicious if preceded by a good day of skiing or snowboarding, and Holiday Valley delivers on that front. With 1,400 acres, 58 trails and 750 feet of vertical, it is an wide and oftentimes surprisingly challenging ski area. Personal favourite trails included Foxfire, Chute and Cindy’s Run. Being able to slide down the hill right to the Tamarack at the base of the slope and into John Harvard’s made for an excellent ski experience. 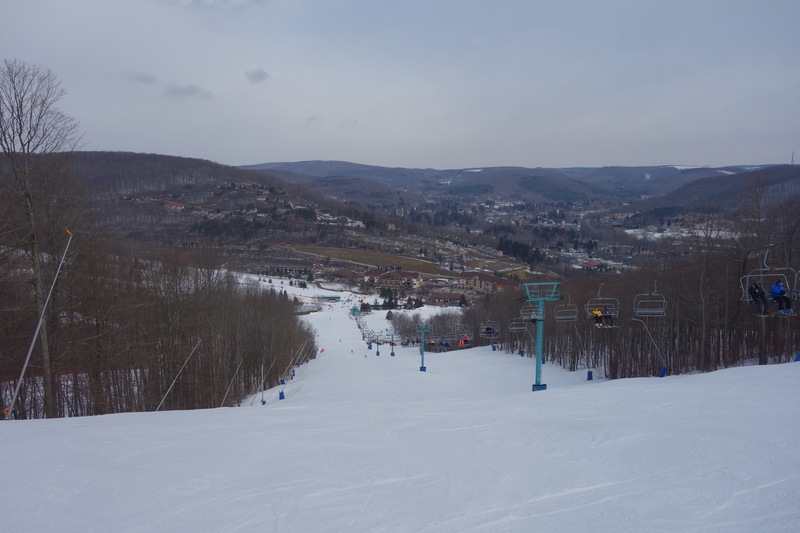 Holiday Valley is usually ranked close to other Eastern resorts such as Tremblant, Stowe and Killington, a testament to the well-rounded experience that the town and the ski area has going for itself. Be sure to listen to the ever enthusiastic and lively Pete’s slope report at 716-699-2644 to start out your day. When you’re in the Ellicottville area, there’s even more beer to check out. Southern Tier, a brewery that Ontarians would know well as they’ve been available in the province for many years, is located 45 miles west in Lakewood. Four Mile Brewing is about 30 miles southeast in Olean, and Hamburg Brewing can be a stop on the way home, which is about 30 miles north on the way to Buffalo. And of course a stop in Buffalo itself is always worthwhile with its numerous excellent beer bars and breweries. 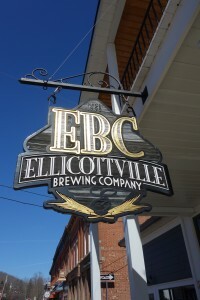 Ellicottville is a lively, interesting and walkable town with many bars, restaurants and shops to explore, plus some excellent skiing considering the generally modest contours in this part of the world. 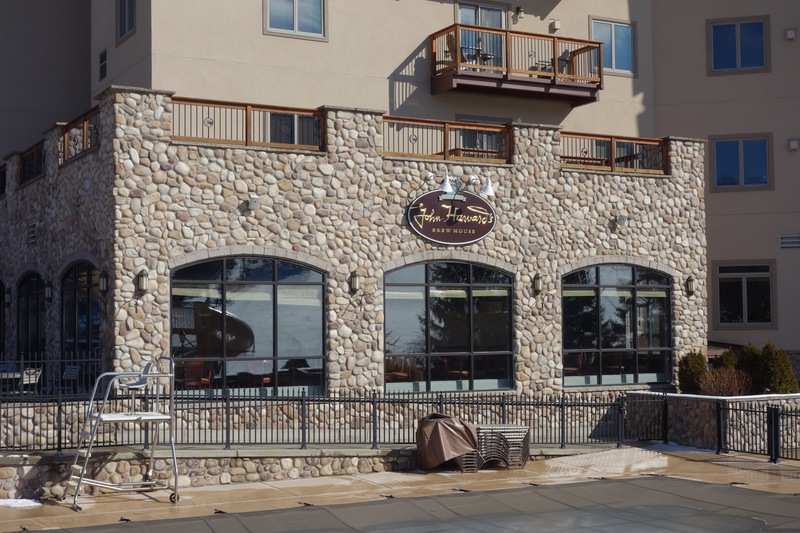 Ellicottville is located only 45 minutes south of Buffalo and easily accessible from the Greater Toronto Area which makes it an ideal destination compared to trekking to other ski destinations further afield. Good beer, good skiing and both within a reasonable distance from Toronto? I’ll have one of those. Dammit. You’re tour*. Not you’re your. We did go to Madigans, unfortunately when we visited and asked what beer they had available, they only told me mass, macro beers. So we left.